Did you ever think that a frog or a toad could look this mean? Of course not, and that is why this Mutated Toad Lord Display is so disturbing and startling. Or perhaps it is scary because of its wicked fangs and it sinister and unfocused stare. This freaky looking animal could have once been a regular toad, although something has forever changed it into this eerie monstrosity. This toad (if it can still be called that) stands on a flat platform that is designed to resemble a square piece of stone, with its feet supporting its weight while its hands rest atop its bent knees. Both hands and feet end in wicked looking black claws that make this creature look more like a predator then prey. Covering its pale tan torso is a number of little red boils, while its greenback is adorned with sporadic black stripe patterns. 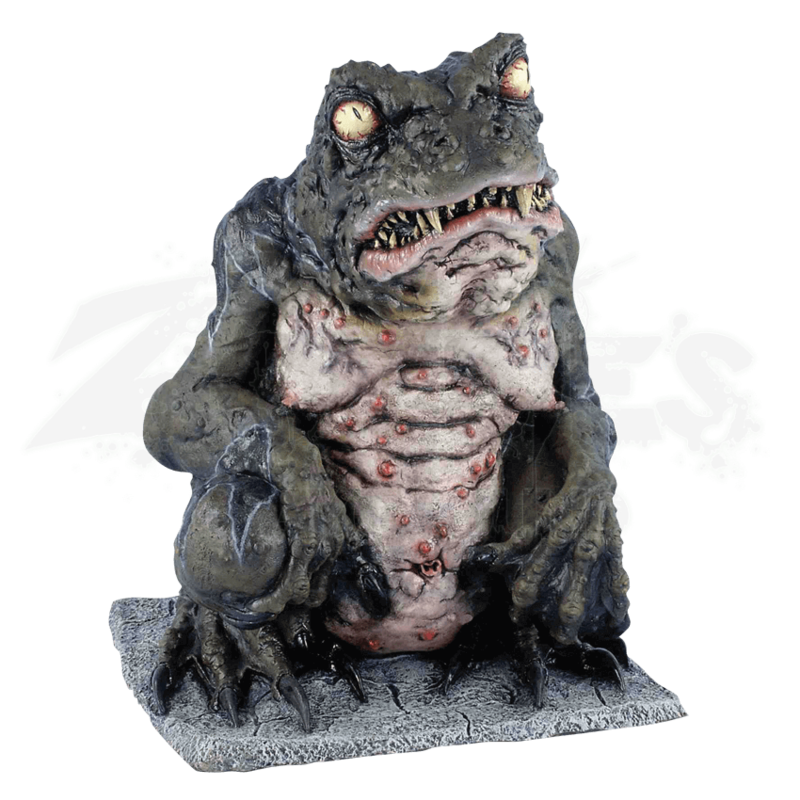 The toad lords mouth is filled with wicked fangs, while its bulbous yellow eyes are blood-shot as they stare off, seemingly in two different directions. This impressive display is made entirely from foam filled latex, and it measures approximately 27 inches tall and 20 inches wide. 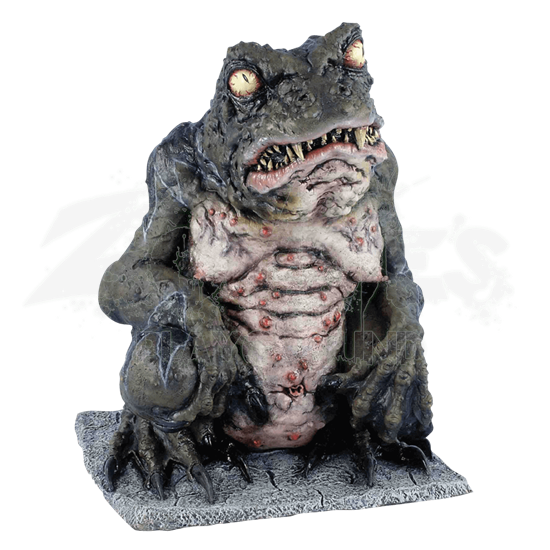 Set this sinister looking display near a pond and it will look right at home, although you can also put this Mutated Lord Toad Display wherever you think it will get the best response, as well as the most possible scares.